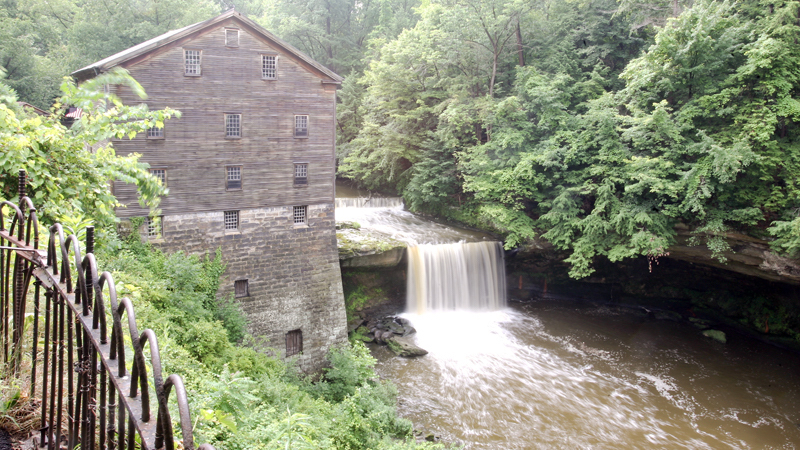 Join Mill Creek MetroParks for Earth Day Weekend as park employees help visitors celebrate the Earth and all the opportunities available to connect with nature at Mill Creek Park. On Friday, join a park naturalist for a frog serenade during the Sounds of Spring hike from 8 to 9:30 p.m. Wander through wetland and pond habitats at the Mill Creek Park Preserve on West Western Reserve Road in Canfield. The annual Daffodil Show at the Davis Center at Fellows Riverside Gardens, 123 McKinley Ave., is free, and the show will be from 1 to 5 p.m. Saturday and from 10 a.m. to 5 p.m. next Sunday. On Saturday, from 9 a.m. to noon, local Scout Units and other organizations will spend the morning helping clean winter’s accumulation of litter across the park system in the Scout Earth Day Clean-Up. A guided Daffodil Walk with Gordon Vujevic, daffodil expert, will be from 1 to 3 p.m. Saturday. Discover more than 200 different species and cultivars that are a part of the Fellows Riverside Gardens Narcissus collection. Also on Saturday, from 9 to 11 a.m., go on a hike with a naturalist along Lake Cohasset and through the forest. Meet at the Pioneer Pavilion on Old Furnace Road. Learn about spring wildflowers and more with a park naturalist from 10 to 11 a.m. Saturday during Trot with your Tot, a short hike to let children learn and explore nature. Meet at the playground in the James L. Wick Recreation Area on McCollum Road on the city’s West Side. You also can enjoy an early morning bird walk from 8 to 9:30 a.m., Birding the Sanctuary, at Mill Creek Wildlife Sanctuary on Calla Road. Register by Thursday at Ford Nature Center. Next Sunday, from 1 to 4 p.m., bring the family for Tractor Wagon Ride, a guided tour of the MetroParks farm in Canfield leaving approximately every half-hour. Riders will be updated on the spring planting progress and barns are open to visit the animals. Also next Sunday, from 1 to 2 p.m., take a trot down to the creek with a park naturalist to view turkeys and signs of nesting in our Turkey Trot program at Pioneer Pavilion. For information on these events, call 330-702-3000 or visit www.millcreekmetroparks.org. April 23, 2012 12:01 a.m.